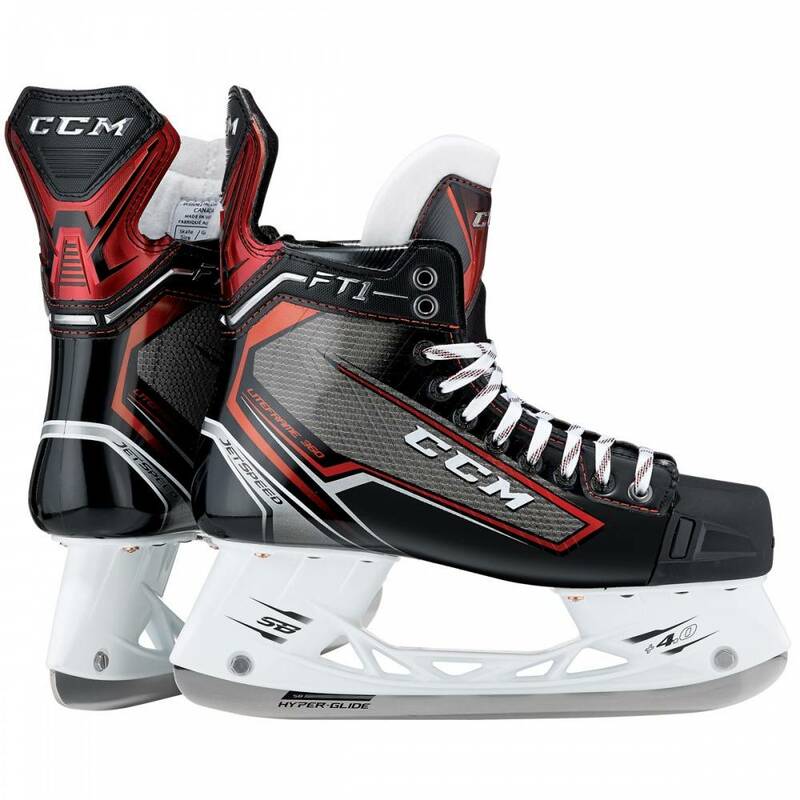 CCM is so sure that you'll love your new CCM JetSpeed FT1 Ice Hockey Skates that if you aren't satisfied for any reason, we'll take them back within 90 days of purchase and issue a full refund - no questions asked. This offer is valid on qualifying CCM JetSpeed skates purchased between March 29th, 2017 and October 1st, 2017. Customers who wish to return their skates need to call customer service to initiate a standard merchandise return within the 90 day window. Upon receipt and inspection of the skates, the customer will be provided a refund for the full purchase amount of the skates. Please allow up to 7 days for us to process your return and issue a refund. JetSpeed FT1 is the first ever one-piece boot frame skate in the JetSpeed family. Featuring L1TEFRAME 360 technology, the JetSpeed FT1 is a highly refined skate design with leading edge engineering to help maximize a player’s speed on the ice. Its ultra-lightweight structure makes it the lightest pro caliber JetSpeed skate to date. The monocoque construction gives players two critical benefi ts: A complete 360° fit around and underneath the foot for a customized fit, and a seamless direct energy transfer platform that helps generate more speed with every stride.